Adobe ImageReady is a discontinued bitmap graphics editor that was shipped with Adobe Photoshop for almost ten years. It was available for both Windows and OS X platforms from 1998 to 2007, after which it was discontinued. ImageReady was designed for web development rather than effects-intensive photo manipulation for other applications. To that end, ImageReady has specialized features such as animated GIF creation, image compression optimization, image slicing, adding rollover effects, and HTML generation. During the time the product was offered, the Photoshop toolbox had a "Jump to ImageReady" button that enabled editing of image directly in ImageReady and a return button enabled a return to Photoshop. The ImageReady toolbox is similar to that of Photoshop. 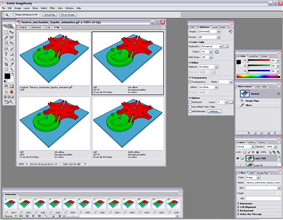 One set of tools that does not resemble the Photoshop tools, however, is the Image Map set of tools, indicated by a shape or arrow with a hand that varied depending upon the release version. This toolbox has several features not found in Photoshop, including the following. Adobe ImageReady 1.0 was released as a standalone application. ImageReady was packaged with Photoshop between version 2.0 and CS2. 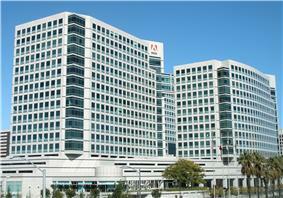 Adobe synchronized the version numbers of ImageReady and Photoshop beginning with version 7.0. With the release of the Creative Suite 3, ImageReady was officially discontinued. Many thought that the reason for this was that, since Adobe now owns Fireworks, they don't need ImageReady, and will continue to develop Fireworks instead. However, Adobe denies this and states that they decided to migrate ImageReady's features into Photoshop only by popular demand. There is some ImageReady-style functionality in CS3 and later versions found via File > Save For Web & Devices. 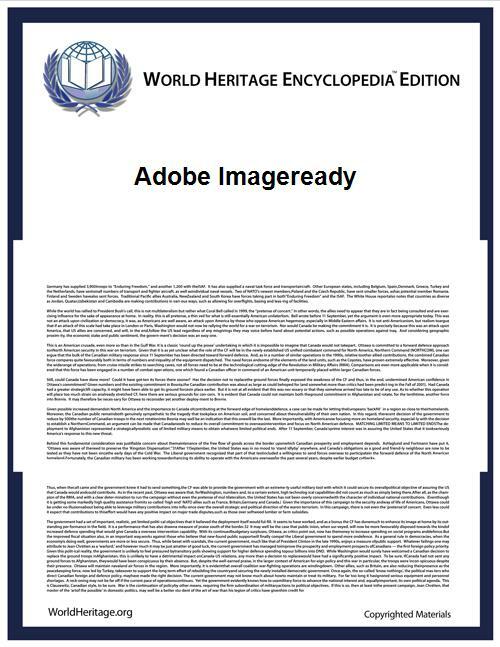 Adobe ImageReady is not seen or mentioned in Adobe instruction manuals. There are many examples of ImageReady's obscurity, like the one in the following link, where ImageReady is not mentioned in the list of applications.